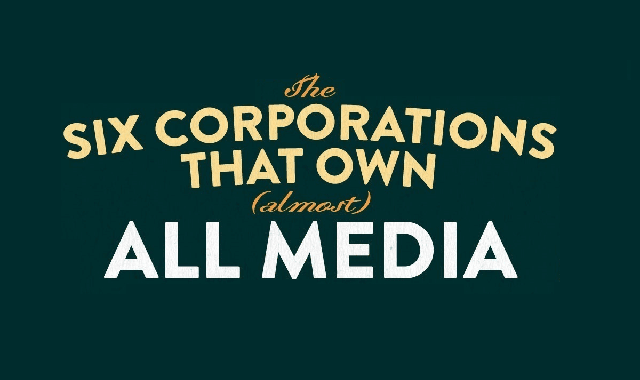 The 6 Companies That Own (almost) All Media #Infographic ~ Visualistan '+g+"
Today, consumers have access to more media and entertainment choices than ever. But in reality, a huge portion of those choices belong to one of six media conglomerates. In this context, "media" refers to publishing outlets for television, film, books, video games, and other modern forms of information delivery.